My name is Werner. I'm a German breeder and live in Bangkok. 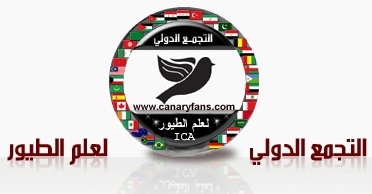 I breeding Canaries more than 40 years. Now I breeding Canaries, Gouldian Finches, Longtailed Finches and Splendid Parakeets in Thailand. I also produce softfood and colour food for for canaries and finches. My special favorites are the Red Factor Canaries. I will give my experience and knowledge to this webboard. Good to meet such an experienced gentleman like you. I am sure after 40 years of breeding canaries you have a lot to share with us. Looking to hear from you Werner, please feel free to write any topics you might find of great benefits to our members. It is a good chance for all of us to share our experience and knowledge, and may be compare what you do as a German breeder and what the others are doing, each one in his own country, and at the end take the things that we find will be of great benefits for caring for such a nice birds like Canaries and Finches. We welcome you mostly welcome and we hope to share your professional skills in breeding. We are very happy for joining us. Hi everybody, my name is Alejandro (Us:Aliskander) and I come from Spain. I used to breed canaries and others many years ago, and actually I am restarting with it, I am here to enjoy and share this wonderful hobby. My favourites are the red and yellow canaries and their moutations. Welcome Aliskander. nice to have here.